We will add more as time allows. Includes one LARGE Meyer Decal for face of Moldbaord. 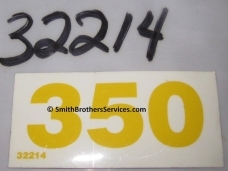 Decal is yellow background with black letters. Measures approx. 13" L x 26" W. Very glossy. Genuine Meyer. 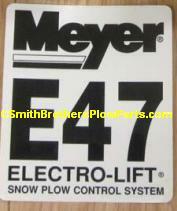 E-60 Quik Lift Decal for Meyer plow pumps. 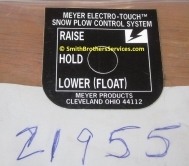 Meyer 3 Switch Toggle Control Panel Decal. 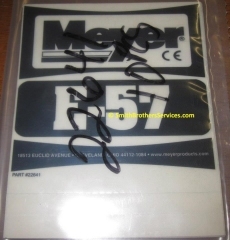 This is a Genuine Meyer� decal. 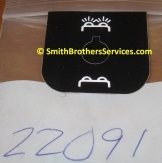 This is the decal that goes on the dash mounted Headlight Switch Panel. This is the old style that used a round switch. Also fits newer brackets, and hole can easily be cut for rectangular rocker switch. 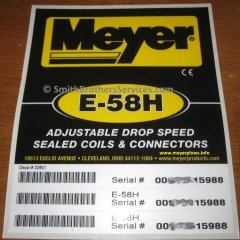 These are Genuine Meyer� decals. Price is for EACH Decal. White we have about 30 in stock. This is the decal that goes on the dash mounted switch panel / bracket. 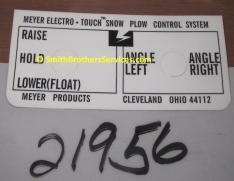 Meyer OEM Light Switch Bracket withDecal ONLY. ***SPECIAL*** EVERYTHING you need to convert to the Meyer Slik Stik Controller. 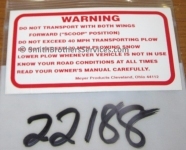 These are Genuine Meyer� decals. Price is for EACH Decal. We have about 100 in stock. 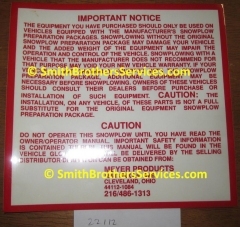 This is the decal that goes on the front of the pump by the drain plug and filter ports. The decals are clear, they look white because of the backing they are on. LOT of 10 Meyer Plow Pump Torque Decals. Only 6 pictured for reference only. 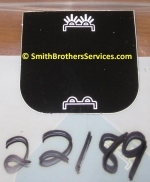 3 Toggle Toggle Switch Bracket with decal.